« A girl and her camera. Or a camera and its girl? I’m too flummoxed right now to formally talk about this thing. So my timeline was slightly off. Dayton Moore’s trigger finger was itchier than I imagined. And we’ve sold half the farm, including literally the best player in all of Minor League Baseball, for a single guaranteed year of James Shields. 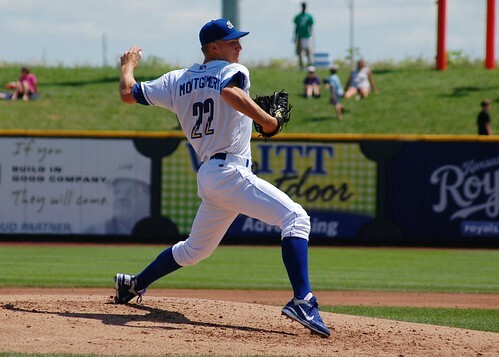 If the Royals don’t win the whole damn thing this year, the trade will be for exactly nothing. And is James Shields really good enough to push KC’s broken-down jalopy of a starting rotation into October? REALLY?! For the moment, I’m just going to do what I do, and say farewell to some of my favorite players, photo subjects, and young men – in pictures. 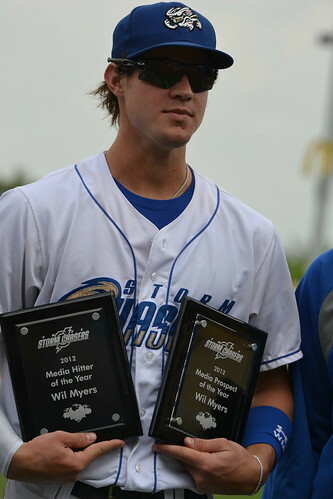 We’ll start with Wil Myers, who – let’s not forget – was the best player in all of the Minors. Every evaluator of talent in the country agreed on that. It cannot be stressed enough when examining the Rays’ haul in this deal. These are two of the least prestigious awards Wil would go on to win. 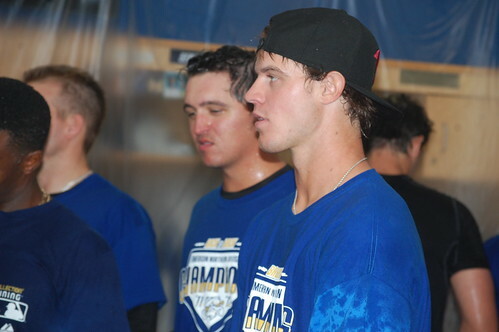 This is the last we will see of Wil celebrating any title in the Royals organization. 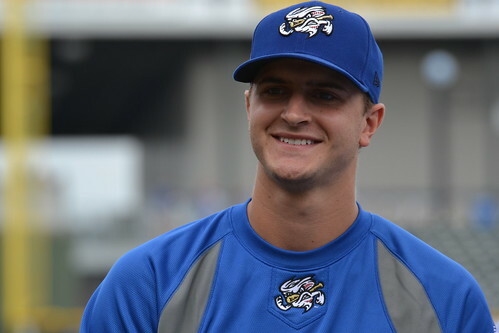 And goodbye to Jake Odorizzi, who was a solid prospect, and as far as I could ever tell, a pretty good young man as well. 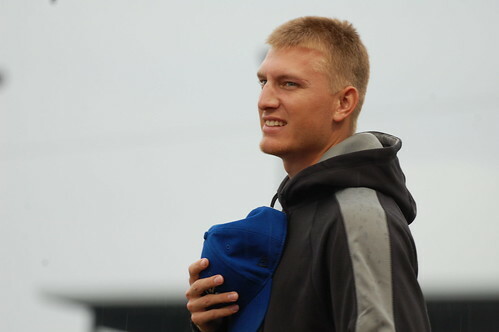 And to Mike Montgomery, who may yet figure himself out. He’s got the stuff; he has always had the stuff. Why we had to give up all three of these young men, plus Patrick Leonard, I don’t know. What the hell do I know? 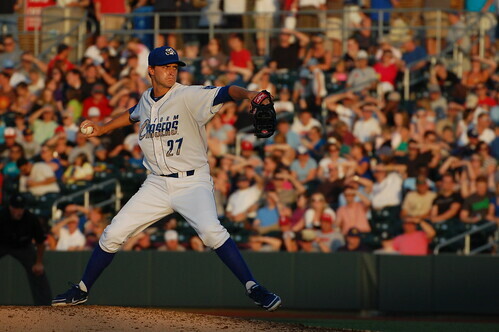 I’m not the general manager who has successfully seen the Best Farm System Ever turn into…a year of James Shields? Awww, hell. Feeling your pain Minda… I am feeling your pain. Pretty bummed about this move, too. Hoping for the best, but expecting the worst. I’ll always remember the great game he had at our Futures Game last summer.